The song refers to the French movie Steak (2007), which is about two "losers" who want to belong to the cool high school group – the Chivers. 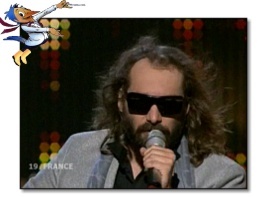 Sébastien Tellier collaborated on the soundtrack for this movie. The French part means "You and me, it's as you know, how my heart succumbed". In the final, the second French line was "Pour moi, l'amour chante en français" (For me, love sings in French).